This Thursday 7 February is Time to Talk Day. Organised by the charity Time to Change, the nationwide initiative highlights the power of everyday conversations to break down stereotypes, end stigma, and improve public attitudes and behaviours towards people facing ill mental health. With 1 in 4 people experiencing mental health problems, it’s extremely likely that someone we know—perhaps, even ourselves—is struggling with ill mental health at work. In fact, statistics reveal that ill mental health is the leading cause of sickness absence in the UK with 1 in 6 British workers affected by conditions like anxiety and depression, and costing an average £1,035 per employee per year. The business costs of ignoring ill mental health are becoming increasingly clear, inspiring many business leaders to take a proactive approach to mental health in the workplace. For those who’ve yet to start, Time to Talk Day is an opportunity ripe for the plucking. 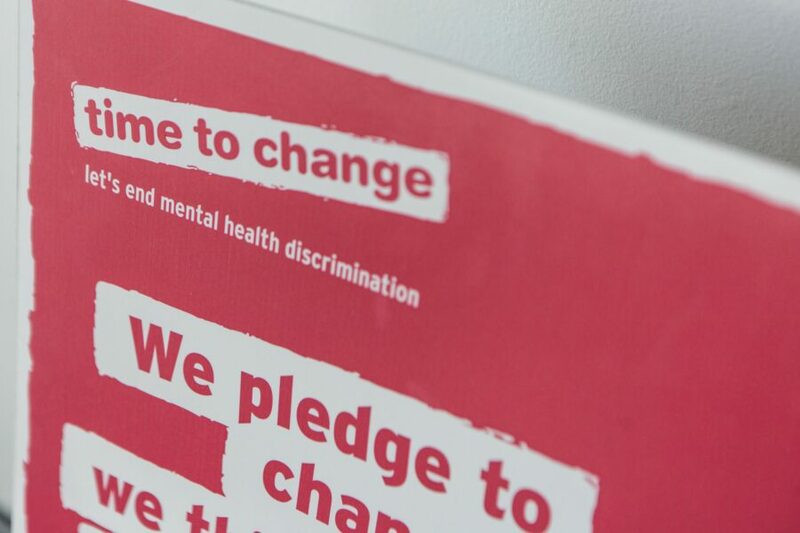 By choosing to participate in the Time to Change pledge, business leaders, managers, and employees alike can strengthen a movement that is raising greater mental health awareness and supporting mental health prioritisation in the workplace. Over 900 employers have taken the pledge, including FTSE 100 companies, leading retailers, government departments and local authorities—including a number of Hive customer partners such as, Gateshead College, housing group Thirteen, and law firm Muckle. The Time to Change website provides compelling evidence of the movement’s impact, sharing that 95% of employers who have taken the pledge report a positive change in their organisations, articulated in real differences to sickness absence rates, employee productivity levels, and overall retention. With Time to Change offering an extensive library of free resources—everything from conversation-starting activities, to internal communications resources, masterclass training and additional advice—there’s no reason campaigning for better mental health need come but once a year. By engaging regularly in conversations that demonstrate the prevalence of mental health challenges and normalise speaking about them, we can all help dispel stereotypes and take the taboo out of the topic of mental health. What is more, creating an organisational culture where people feel able and supported to talk about mental health without fear of being perceived or treated differently, as a result, is something we can—and, should—practice year-round. Interestingly, many solutions that serve to improve the mental health-consciousness of a workplace are those that also serve to improve employee engagement levels and job satisfaction. Employee feedback gathering via survey platforms for example can help organisations broach sensitive issues by providing a confidential forum where employees feel free and able to offer their honest opinions and ideas. Today’s business leaders are in a unique position to lead from the front on mental health in the workplace by making it an integral part of their business strategy. Connecting the dots between employee mental health and better business outcomes can inspire other organisations to develop and implement their own action plans in support of employee mental health. However, in all our passion for achieving better business outcomes, we must not lose sight of the people our organisational success depends on. We must remember that cultivating a deeper understanding of mental health issues is desirable in itself and that people hold the power to define culture—not only in the workplace but in the communities we call home and beyond. To understand how confidential employee feedback gathering can help address mental health issues in the workplace, book a tailored Hive intro session with a member of our team.